William Longley taken at South Bend, Indiana. Tintype photograph of William Longley. He graduated in 1867 at University of Notre Dame, St. Joseph Co., Indiana; Degree in Commerce.1 Pictorial & Biographical Memoirs, Elkhart & St. Joseph Co,1893,pg 316. William H. Longley was born in Elkhart county, Ind., October 3, 1846, and is the son of Andrew and Mary Longley, the former a native of Pennsylvania, and the latter of Indiana. His father came to this state in 1834, and located in Elkhart county, where he resided until 1853; he then came to this county and located on Portage Prairie, and soon afterward moved to Sumption's Prairie, where he now resides. Mr. Longley remained at home on the farm until he was 16 years old, then entered the University of Notre Dame, where he took a full commercial course, and graduated in 1867; he them entered the dry goods house of John Brownfield, Esq., where he has since been engaged as salesman and book-keeper. He was married in this city, to Miss Helen L. Searle of the same place, December 14, 1871, a daughter of Richard Searle Esq., of this place, and was born in Pennsylvania in 1848; they have one son, born January 28, 1878. In 1868 John N. Lederer formed a partnership with A.T. Coquillard and W. H. Longley. They purchased large tracts of land in Boone county, Nebraska, and platted and laid out the village of St. Edwards. In August, 1876, they formed a stock company, known as "The St. Edward's Land and Emigration Company". Mr. Longley is treasurer of the St. Edwards Land and Emigration Company, and also of the Wisconsin Land and Emigration Company of this city. Politically, he is a Democrat. The South Bend Tribune Newspaper (Indiana), Sunday 18 Aug 1935, Section 1, page 1 and 5. William H. Longley, South Bend's eight mayor, died at 8:30 o'clock Saturday night at the age of 88 years in his home at 215 South William street. He had been in failing health for several years and his death was attributed to the infirmities of age. Mr. Longley was the second democratic mayor of South Bend, elected first in 1888 and again in 1890. In those days the term was for two years. During the years he held office, many notable improvements were made in the city. He also served in 1882 as councilman from the Second ward and was one of the incorporators of the former A.C. Staley Manufacturing company, of which he was vice-president until 1888. This company later became the Stephenson Underwear mills, now out of existence. Born Oct. 3, 1846, in Elkhart, Ind., Mr. Longley came to South Bend at an early age and was married to Miss Helen Searle. Mrs. Longley died several years ago. His father, Andrew Longley, was born in Pennsylvania and his mother, Mary Longley, was a native of Elkhart county. They settled on a farm at Sumption Prairie, St. Joseph county, in 1853. After receiving the usual common school education in the district school William Longley attended the University of Notre Dame and was graduated in 1867 with a degree in commerce. When he first came to South Bend Mr. Longley entered the dry goods store of John Brownfield and was employed there until he was first elected mayor of South Bend. In 1892 he became a member of the firm of Beeper & Longley, manufacturers of brick. Later he became a sewer contractor in connection with the late Charles Knott but he retired years before his death. Three children survive. They are Howard Longley, of Detroit, Mich., and Mrs. Mary Altgelt and Miss Edna Longley, both of South Bend. One granddaughter, Mrs. Carl Prell, and a sister, Mrs. G.B. Summers, also reside in this city. The body may be viewed in the residence from Monday morning until the hour of the funeral Tuesday afternoon at 2 o'clock. Services will be conducted in the residence by Rev. Charles Tupper Baillie, D.D., pastor of the First Presbyterian church. Burial will be in Highland cemetery. The South Bend Tribune Newspaper (Indiana), Monday 19 Aug 1935, Section 2, page 6. [S1614] Anonymous, Pictorial and biographical memoirs of Elkhart and St Joseph Counties, Indiana : together with biographies of many prominent men of northern Indiana and of the whole state, both living and dead (Chicago, Illinois: Goodspeed Bros., 1893). Hereinafter cited as Pictorial and biographical memoirs of Elkhart and St. Joseph Counties, Indiana. [S1882] Mrs. Sara Josephine Shimp, The South Bend Tribune Newspaper (Indiana), South Bend, Indiana, 31 Dec 1931, section 1, page 13, The South Bend Tribune Newspaper (Indiana), Thursday 31 Dec 1931, section 1, page 13.. Hereinafter cited as The South Bend Tribune Newspaper (Indiana). Her married name was Shimp. HARN Family Bible. HARN Family Bible spelled name as "SHRIMP". History of St Joseph Co., spelled name as "SHIMP". Census 1900 Harris Twsp., St. Joseph Co., Indiana, E.D. 101, sheet 11. Census April 1930 Harris Twsp., St. Joseph Co., Indiana, listed as 81 years old, enumerated with her son Delbert Shimp and his wife. [S252] N/a, History of St Joseph Co Indiana, 1880, pg 716 (Chicago, Illinois: C.C. Chapman & Company, 1880). Hereinafter cited as History of St. Joseph Co., Indiana. [S1883] EX-LIBRARIAN DIES AT AGE 75, The South Bend Tribune Newspaper (Indiana), South Bend, Indiana, 25 Nov 1959, n/a. Hereinafter cited as The South Bend Tribune Newspaper (Indiana). Census January 1920 South Bend, St. Joseph Co., Indiana, E.D. 237, sheet 1. [S254] Unknown compiler, CENSUS: 1900 IN, St Joseph Co , Clay twsp , E D 101 Sheet 1 (n.p. : n.pub.). [S253] Unknown author, St Joseph Co , IN Marriage Records, (Bk 8, pg 284) (n.p. : n.pub., unknown publish date). Emergency Passport Applications (Passports Issued Abroad), 1877-1907; (National Archives Microfilm Publication M1834, 56 rolls); General Records of the Department of State, Record Group 59; National Archives, Washington, D.C. This database contains U.S. passport applications from 1795-1925, including emergency passport applications (passports issued abroad) from 1877-1907. It also contains passport application registers for 1810-1817, 1830-1831, and 1834-1906. Passport applications often include information regarding an applicant's family status, date and place of birth, residence, naturalization (if foreign-born), and other biographical information. Twentieth-century applications often include marriage and family information as well as dates, places, and names of ships used for travel.
. Hereinafter cited as U.S. Passport Applications, 1795-1925. New Orleans, Louisiana. Passenger Lists of Vessels Arriving at New Orleans, Louisiana, 1903-1945. Micropublication T905. RG085. Rolls # 1-189. National Archives, Washington, D.C. This database is an index to the passenger lists of ships arriving from foreign ports at the port of New Orleans, Louisiana from 1820-1945. In addition, the names found in the index are linked to actual images of the passenger lists, copied from the National Archives and Records Administration (NARA) microfilm. Information contained in this index includes: name, age, gender, ethnicity, nationality, destination, arrival data and port, port of departure, ship name, and source information.
. Hereinafter cited as New Orleans Passenger Lists, 1820-1945. HARN Family Bible. HARN Family Bible spelled last name as "SHRIMP". History of St Joseph Co., spelled last name as "SHIMP". The following article is from the book: "A History of St. Joseph County, Indiana", by Timothy Edward Howard, 1907, page 1093-1094. JOHN M. SHIMP. The Shimp family is one of the oldest in St. Joseph county, and have been noted from the beginning of their identification with its interests for the sterling traits that are so characteristic of the subject of this review, constituting him a fitting representative of the name. He is one of Harris township's most honored citizens and farmers, and is the son of Jacob and Hannah (Graham) Shimp. He was born on the 18th of January, 1848, and this county has always been his home and agriculture his chosen vocation. He received his education in the public schools of Olive township, and remained with his parents until twenty-two years of age. On the 16th of March, 1869, he was united in marriage to Sarah J. Longley, at the residence of her parents. 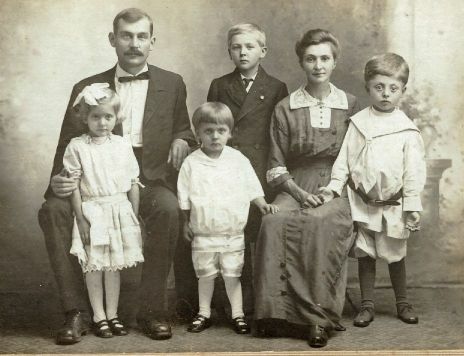 Andrew and Mary (Rupel) Longley, of Greene township, St. Joseph county, and they have become the parents of three children: Gertrude, who died when only two months old; Delbert, an agriculturist of Harris township; and Andrew L., a resident of Mishawaka. The South Bend Tribune Newspaper (Indiana), Saturday 24 Mar 1923, section 1, page 5. Mortuary Record - John M. Shimp. [S255] N/a, History of St Joseph Co, Indiana, 1880, pg 716 (Chicago, Illinois: C.C. Chapman & Company, 1880). Hereinafter cited as History of St. Joseph Co., Indiana. The South Bend Tribune Newspaper (Indiana), Saturday 21 Aug 1920, Section 1, page 1 (portions of copy were illegible). Hon. Gabriel R. Summers, 68 years old, owner of the News-Times, former state senator and prominent business man in this city for many years, died Friday night at 11:50 o'clock at his home, 314 West Colfax avenue. Mr. Summers had been seriously ill for four weeks with heart disease and diabetes and had been in ill health for over a year, having suffered several severe attacks of heart failure. He was taken critically ill July 23 and repeated relapses followed by a stroke of apoplexy Thursday morning caused the abandonment of all hope of his recovery. He had been in a state of coma for two days and was unable to recognize members of his family at his bedside. Private funeral services will be held Monday afternoon at 2:00 o'clock at the residence. Bishop John Hazen White, assisted by Rev. Robert J. Long, of St. James Episcopal church, officiating. Burial will be in Highland cemetery. The body will wile in state at the residence Monday from 10 o'clock until 3. The active pallbearers will be Dr. John A. Stoeckley, James A. Judie, John G. Yeagley, William A. McInenry, Edward Zeitler and Edward Chierhart. The honorary pallbearers will be Joseph M. Neff, George Y. Hepler, Schuyler Robertson, William P. O'Neill, Elmer Crockett, Hon. Rome C. Stephenson, Marvin Campbell, Samuel Parker, Dixon W. Place, Jacob M. Chillas, Dr. J.W. Hill and Aaron Jones. Surviving Mr. Summers are his wife, Mrs. Mercy Ann Longley Summers, whom he married Oct. 28, 1880, and one daughter, Mrs. Joseph M. Stephenson, of this city. Mr. Summers was born in New Carlisle, this county, March 13, 1857, the son of Edward and Catherine Summers. After his graduation from Notre Dame university when he was 16 years old Mr. Summers returned to his father's farm in Clay township and after his father's death in 1880 entered the farming business on an intensive scale. He (?) became engaged in the agricultural implementation business in this city and Wullerton(? ), this county, and in 188(?) became president of the South Bend Iron Bed company. He was one of the organizers of the Vanderheof Medicine company in 189(?) and in recent years has been in full control of the company. He became interested in the South Bend News in 1909(?) and it was in a great measure due to his influence that the consolidation of the South Bend News and South Bend Tribune was effected in 1911. Three years later Mr. Summers became practically complete owner of the South Bend News-Times and in 1917 relinquished his duties at published to his son-in-law, Joseph M. Stephenson. Mr. Summers was elected state senator from St. Joseph county in 1914, serving in the 69th and 70th assemblies and on several important committees. He lent his influence toward the passage of the state-wide prohibition law; the United Suffrage act(? ), later held unconstitutional by the supreme court, and he bill providing for a constitutional convention (???) state which the supreme court held invalid. He was conceded to be one of the progressive members of the senate. At the (?) of his term he refused to run for re-election, his reasons being ill-health and the weight of his many business interests. Being a firm believer in the future of South Bend, Mr. Summers became identified with many of the well known business enterprises of the city and was a heavy investor in the city's real estate.2 History of St. Joseph Co., Indiana, 1907, page 778. The South Bend Tribune Newspaper (Indiana), Monday 23 Aug 1920, Section 1, page 5. [S256] Anderson & Cooley, South Bend & the Men who made it, 1901, pg 152-153 (South Bend, Indiana: The Tribune Printing Co., 1901). Hereinafter cited as South Bend & the Men who made it. [S257] Unknown author, Death Record Index, St Joseph Co , South Bend, IN, Book CH-50 (n.p. : n.pub., unknown publish date). [S1888] N/a, The South Bend Tribune Newspaper (Indiana), South Bend, Indiana, 23 Aug 1920, Section 1, page 5, The South Bend Tribune Newspaper (Indiana), Monday 23 Aug 1920, Section 1, page 5. Hereinafter cited as The South Bend Tribune Newspaper (Indiana). 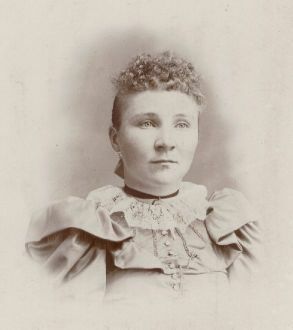 Catherine (Kate) Nestaval was born between 1867 and 1869 at Minnesota. She was the daughter of Jacob Nestaval and Barbara Kardon. 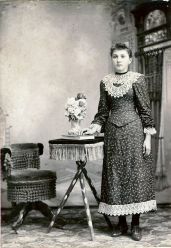 Catherine (Kate) Nestaval married James Vach circa 1884. Catherine (Kate) Nestaval was buried circa 1907 at Calvary Cemetery, Montgomery, Le Sueur Co., Minnesota. She died circa 1907 at Montgomery, Le Sueur Co., Minnesota. Her married name was Vach. Tombstone dated 1868-1907. Owned Grocery Store in Montgomery, Minnesota. Census 1880 Montgomery, Le Sueur Co., Minnesota, listed as 11 years old. Census 1885 Montgomery, Le Sueur Co., Minnesota, listed as 18 years old. >>> NEED TO DOUBLECHECK SPOUSE AND IF ANY CHILDREN. Census 1885 Montgomery, Le Sueur Co., Minnesota, listed as 13 years old. [S260] Joseph Nestaval cemetery marker; unknown reader. [S259] Joseph Nestaval entry, LeSueur Co , MN Death Records, LeSueur County Courthouse, Le Center, Le Sueur Co., Minnesota. John Joseph Nestaval was born between 20 December 1872 and 1874 at Minnesota. He was the son of Jacob Nestaval and Barbara Kardon. John Joseph Nestaval married Antonia M. Vitha, daughter of James Vencel and Katherine Nemec. John Joseph Nestaval was buried circa September 1938 at Calvary Cemetery, St. Paul, Ramsey Co., Minnesota. He died on 17 September 1938 at St. Paul, Ramsey Co., Minnesota. John Joseph Nestaval was a White Front Saloon proprietor. World War I Draft Registration Card lists John Joseph Nestaval born 20Dec1872, occupation of retail liquor and farmer.1 He lived in September 1924 at Montgomery, Le Sueur Co., Minnesota. Brown eyes, Brown hair. Census 1905 Le Sueur Co., Minnesota, says born in 1873. Source Citation: Registration State: Minnesota; Registration County: Le Sueur; Roll: 1675515. Her married name was Vrzal. E.D. 56., sheet 1. She lived in September 1924 at Montgomery, Le Sueur Co., Minnesota. The cause of death was cardiac arrest, due to generalized arteriosclerosis. She had fractured her left hip and left wrist on 02 May 1973.3 Born on a farm east of Montgomery, MN. Short and weighing less than 100 lbs. Social Security Death Index (b- 15Aug1877 d- May1873). In 1920 Census, listed as "Marry". In 1920 Census, all children listed as born in ND. Her Social Security Number was 475-10-4312 issued in MN. [S262] Mary A. Nestaval entry, SOURCE: Death records, LeSueur Co , MN, listed born on 08Sep1877, LeSueur County Courthouse, Le Center, Le Sueur Co., Minnesota. [S1635] Mary A. Nestaval, death 1973-MN-013080 (11 May 1973), unknown repository, unknown repository address. Hereinafter cited as Death Certificate - Mary Vrzal. He lived in September 1924 at St. Paul, Ramsey Co., Minnesota. He graduated at University of Minnesota, Minnesota; degree in Civil Engineering. The 1920 Polk's St. Paul City Directory, page 1055, lists Stephen J. Nestaval as a draftsman for Druar & Smith; and residing at Forest Lake, Minnesota. Stella Squires letter 04Aug1991, mentions Jackie and Yvonne as children of Stephen Nestaval. His Social Security Number was 477-03-0153 issued in Minnesota. Census 1885 Montgomery, Le Sueur Co., Minnesota, listed as 3 years old. [S263] Stephen Jacob Nestaval, unknown file number, Social Security Death Index (b- 19Nov1882 d- Sep1966 St Paul, MN), unknown series (n.p. : n.pub.). Hereinafter cited as SSDI. 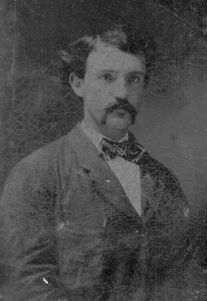 James Vach was born circa 1857 at Bohemia.1 He married Catherine (Kate) Nestaval, daughter of Jacob Nestaval and Barbara Kardon, circa 1884. Not find James Vach in the 1920 MN Census Soundex. [S264] Unknown household, census, Montgomery, Le Sueur Co., Minnesota, unknown record info, Family History Library: 35 North West Temple St., Salt Lake City, Salt Lake Co., Utah. Anne Faktor married Joseph Nestaval, son of Jacob Nestaval and Barbara Kardon. Anne Faktor died on 2 February 1913. She was buried at Calvary Cemetery, Montgomery, Le Sueur Co., Minnesota. Her married name was Nestaval. Antonia M. Vitha was born on 9 August 1884 at Minnesota. She was the daughter of James Vencel and Katherine Nemec. Antonia M. Vitha married John Joseph Nestaval, son of Jacob Nestaval and Barbara Kardon. Antonia M. Vitha died on 2 July 1972 at St. Paul, Ramsey Co., Minnesota, at age 87. She was buried circa July 1972 at Calvary Cemetery, St. Paul, Ramsey Co., Minnesota. Her married name was Nestaval. Brown Hair, Blue Eyes. >>> Need to verify Antonia's parents. John and Mary Vrzal Family. Left to right backrow: John (father), Edward, Mary (mother). Front row left to right: Stella, Harry, Jimmy. Taken in Montgomery, Minnesota. John Albert Vrzal was born on 16 May 1875 at Steponovic, Bohemia/Austria. He was the son of Mathias Vrzal and Mary Kubes. 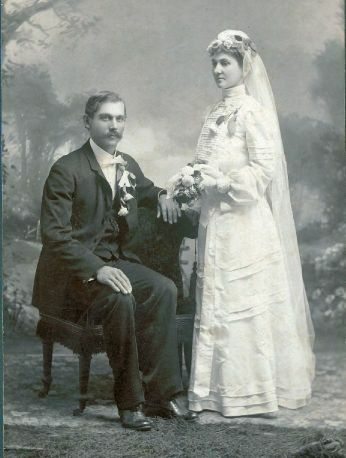 John Albert Vrzal married Mary A. Nestaval, daughter of Jacob Nestaval and Barbara Kardon, on 8 September 1903 at Montgomery, Le Sueur Co., Minnesota. John Albert Vrzal was buried circa August 1929 at Calvary Cemetery, Montgomery, Le Sueur Co., Minnesota. He died on 3 August 1929 at Montgomery, Le Sueur Co., Minnesota, at age 54. John Albert Vrzal was a Police, House Painting. The cause of death was cardiac asthma. SOURCE: Death records, LeSueur Co., MN. In 1920 ND Census, Dunn County, twp 142 range 95, E.D. 56, sheet 1, John Vrzal listed as having immigrated to the US in 1898, and becoming a naturalized citizen in 1915. Following from The Montgomery Messenger (MN newspaper) 09Aug1929. The funeral was held for John Albert Vrzal who passed away August 3, 1929. He was the son of Mathias and Mary Kubes Vrzal. The deceased was born in Steponovic, Bohemia on May 16, 1875. He was married to Mary Nestaval. Mr. Vrzal was on the police force for 8 years and then he went back to painting. Mr. Vrzal was survived by his wife, daughter Stella and 3 sons, Edward of St. Paul, Harry and Arnold at home. Three sisters, Mrs. Kate Sabes of Mandan, North Dakota, Mrs. Mary Kopet of Veseli. Five brothers, Thomas, Jacob, James of North Dakota, Albert of Montgomery and Frank of (C)alowa(y), Minnesota. The following came from a distance: Mr. and Mrs. Ed Vrzal, Miss Stella Vrzal, Mrs. John Nestaval, Mr. and Mrs. S. Nestaval, Ed Sklenar, Marie Sklenar of St. Paul, Mr. and Mrs. William McCarthy of Faribault, Mr. and Mrs. Michael Kopet, Mr. and Mrs. James Kopet of New Prague and Mrs. Frank Bartusek of Veseli. Census 1920 Twsp. 142 Range 95, Dunn Co., North Dakota, E.D. 56., sheet 1. John listed as a farm laborer in 1920 Census. Lethe Ann Harn was a Millinery. Her married name was Robertson. Lethe was James Robertson's second wife, they had no children.3 Ellen Dorcas Harn Manuscript. Source Notes: The source of this record is the book CH-8 on page 11 within the series produced by the Indiana Works Progress Administration.
. Hereinafter cited as Indiana Deaths, 1882-1920. Singleton Wesley Harn was a Owner of a Woolen Factory. Marriage License dated Sept 12, 1825. Singleton married his first-cousin, Maria C. Harn. Politics: Whig. Census August 1870 Liberty, Frederick Co., Maryland, listed as a retired farmer, 68 years old and born in Maryland. Value of real estate listed as $11500 and personal property valued at $5200. [S265] B. Esther (Oviedo) Harn, "E.B. Harn Sheets, FHL film 1036595, # 18,130-139", Feb 1977 (18921 Knapp St., Northridge, CA 9132433). Hereinafter cited as "E.B. Harn Sheets, FHL film 1036595." Amelia E. Harn was born before 1830. She was the daughter of Denton Harn and Rachel Ruth Pickett. 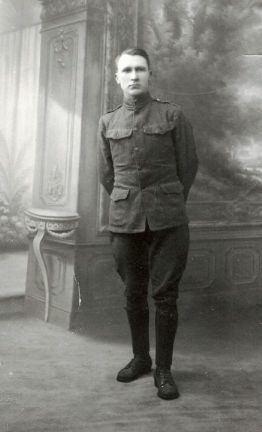 Amelia E. Harn married male Howard. Levi Orendorf Harn was a Printer/Stage Proprietor. The cause of death was Bronchitis. Ellen Dorcas Harn Manuscript. Following in the book THE JACOB ENGELBRECHT MARRIAGE LEDGER OF FREDERICK COUNTY, MARYLAND,1820-1890, Compiled by Trudie Davis Long & Elivia Eader,1994. HARN, Levi O. to DUVALL, Zerua Ann, in Hagerstown, Octr 25, 1835. [S267] B. Esther (Oviedo) Harn, "E.B. Harn Sheets, FHL film 1036595, # 130,156-159", Feb 1977 (18921 Knapp St., Northridge, CA 9132433). Hereinafter cited as "E.B. Harn Sheets, FHL film 1036595." [S268] Trudie Davis Long & Edith Olivia Eader, compiler, The Jacob Engelbrecht Marriage Ledger of Frederick County, Maryland 1820-1890 (Monrovia, Maryland: Paw Prints, c1994). Hereinafter cited as Marriage Ledger of Frederick Co., MD. William Hillery Harn was a in coal and lumber business. HISTORY OF FREDERICK CO., MD, 1910, pg 1557. HISTORY OF FREDERICK CO., says wife was Martha Cheneworth. E.B. HARNS Sheets lists William's birth as 17Dec1811. [S269] B. Esther (Oviedo) Harn, "E.B. Harn Sheets, FHL film 1036595, # 130,163", Feb 1977 (18921 Knapp St., Northridge, CA 9132433). Hereinafter cited as "E.B. Harn Sheets, FHL film 1036595." Batch# 8613507, sheet 54, film 1396194: lists Rachel born in 1819 in Loudoun, Virginia. FHL file 177939 pg 758 ref#: lists Rachel born abt 1819 Of Louder Co., Virginia. FHL film 178006 pg 288 ref 9016: lists Rachel born abt 1819 in Of Frederick, Virginia. Her married name was Hollingsworth. Ellen Dorcas Harn Manuscript. Rachel Ruth Harn lived in 1902 at St. Marys, Auglaize Co., Ohio. [S270] B. Esther (Oviedo) Harn, "E.B. Harn Sheets, FHL film 1036595, # 130,165-167", Feb 1977 (18921 Knapp St., Northridge, CA 9132433). Hereinafter cited as "E.B. Harn Sheets, FHL film 1036595." Isabelle R. Harn was born on 27 August 1825 at Maryland. She was the daughter of Denton Harn and Rachel Ruth Pickett. Isabelle R. Harn married Reynolds Knox Lytle, son of Robert Lytle and Hannah Knox, on 10 May 1876 at Shelby Co., Ohio.2 Isabelle R. Harn died on 6 September 1901 at Ohio at age 76. She was buried at Westside Cemetery, Delphos, Van Wert Co., Ohio. Her married name was Lytle. HISTORY OF FREDERICK CO., MD, 1910, pg 1557. [S271] B. Esther (Oviedo) Harn, "E.B. Harn Sheets, FHL film 1036595, # 130,167A", Feb 1977 (18921 Knapp St., Northridge, CA 9132433). Hereinafter cited as "E.B. Harn Sheets, FHL film 1036595." Lethe Ann Harn married Robert C. Arbuckle at Maryland.1 Lethe Ann Harn was born at Hagerstown, Frederick Co., Maryland.2,1 She was the daughter of Denton Harn and Rachel Ruth Pickett. Her married name was Arbuckle. [S273] B. Esther (Oviedo) Harn, "E.B. Harn Sheets, FHL film 1036595, # 130,148", Feb 1977 (18921 Knapp St., Northridge, CA 9132433). Hereinafter cited as "E.B. Harn Sheets, FHL film 1036595." Louisa M. Harn was born on 1 December 1829 at Sidney, Shelby Co., Ohio.1,2 She was the daughter of Denton Harn and Rachel Ruth Pickett. Louisa M. Harn married Dr. Washington Goodwin Kishler, son of George Kishler and (?) Goodwin, on 25 May 1852 at Auglaize Co., Ohio.3,2 Louisa M. Harn died on 3 August 1905 at St. Marys, Auglaize Co., Ohio, at age 75. She was buried at Elm Grove Cemetery, St. Marys, Auglaize Co., Ohio. [S274] B. Esther (Oviedo) Harn, "E.B. Harn Sheets, FHL film 1036595, # 130,168", Feb 1977 (18921 Knapp St., Northridge, CA 9132433). Hereinafter cited as "E.B. Harn Sheets, FHL film 1036595." Her married name was Harn. Marriage License dated Sept 12, 1825. Maria Cordelia married her first-cousin, Singleton W. Harn. Marriage Licenses of Frederick Co. 1811-40, Margaret Myers, pg 104. HISTORY OF FREDERICK CO., MD, 1910, pg 1557. Census 4 June 1880 Linganore, Frederick Co., Maryland, Maryland 1880 Federal Census, page number 7, Supervisor's District 3, Enumeration District 93, located in 19th District of Frederick Co.
Census August 1870 Liberty, Frederick Co., Maryland, Mariah listed as 68 years old and born in Maryland. 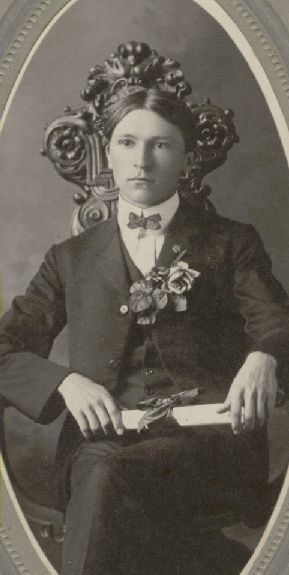 Male Howard married Amelia E. Harn, daughter of Denton Harn and Rachel Ruth Pickett. [S275] B. Esther (Oviedo) Harn, "E.B. Harn Sheets, FHL film 1036595, # 163", Feb 1977 (18921 Knapp St., Northridge, CA 9132433). Hereinafter cited as "E.B. Harn Sheets, FHL film 1036595."